You may ask your self what is penpal world?! where this world exists or how i can join word of penpals ? There are many people all over the world who likes to have new friends . Having a friend far from where you live is a the penpal method. It means you have a freind you never have met. There are differnt ways to keep in touch with such foreigner friends. like sanding letters to them , or writeing an email. The most easier ways to contact a foreigner friend as a penpal is penpalling websites or apps. 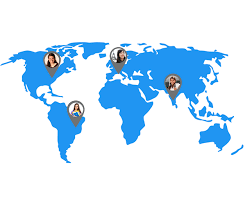 For example by joining world of online penpals comunities you can search in the world of online willing penpals who are imaptently looking for new penpal friends. You can join citymity penpals for example to live in such a world of penpals.